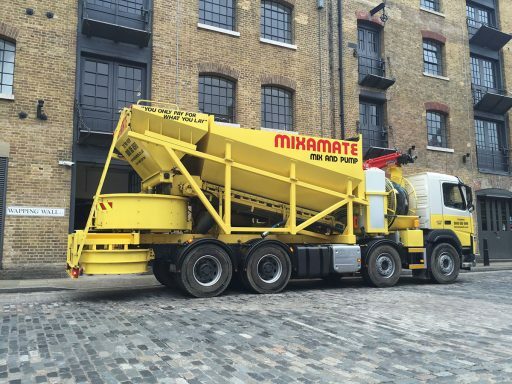 Welcome to Mixamate – the leading company for mix on site concrete and concrete pumping in Eastleigh, Hampshire. At last there’s an alternative to bulk delivery of ready-mixed concrete & screed that doesn’t mean manual mixing. Mixamate provides mix at site concrete services in Eastleigh and nationwide. For services outside Eastleigh, please search by name below. Mixamate has been delivering concrete and screed throughout the U.K. including Eastleigh, Chilworth, Otterbourne and Portswood for over 35 years. We provide a range of mix on site concrete services including straight-pour, pumping, mini-dumper, and barrowing, as well as ready mix screed. Alternatively, if you are looking for concrete and screed services outside Eastleigh, then please visit our Contact page to find your local branch.